And it's made of Legos. 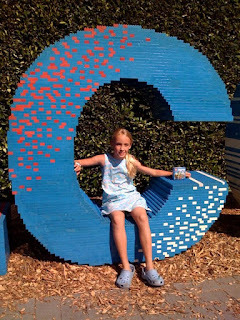 Part of the WELCOME sign at LegoLand California. Good thing her name isn't Wilma - that W looked hard to climb on.